From the start, stakeholder engagement and feedback has been an important part of the Department of Health Care Services’ (DHCS’) work on the Coordinated Care Initiative (CCI). 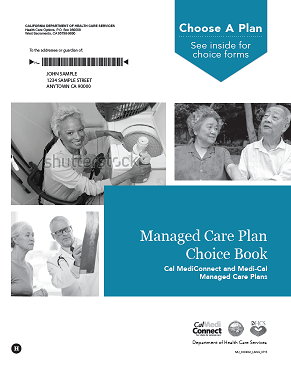 As part of an ongoing commitment to working collaboratively in developing beneficiary materials, DHCS is releasing for stakeholder comment a new draft Medi-Cal Managed Care Plan Guide and Choice Book. Existing dual eligible beneficiaries who move into a CCI county. These materials will be mailed to the aforementioned beneficiaries as a part of their regular enrollment process. All of these beneficiaries are already required to enroll into a Medi-Cal managed care health plans (MCP) for their Managed Long-Term Services and Supports (MLTSS) in order to receive their Medi-Cal benefits. 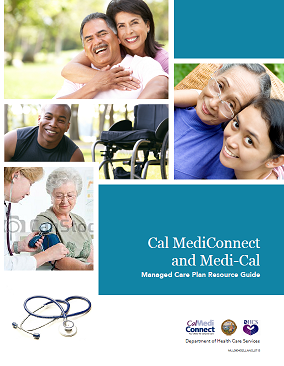 These draft materials will ensure that this group of beneficiaries receives information on all of their available options – including Cal MediConnect. The new materials incorporate some of the lessons DHCS has learned to date about how to communicate with dual eligible beneficiaries about the CCI, including lessons learned from stakeholder input and beneficiary testing of previous materials. It is important to note that prior to being finalized these materials will undergo a final literacy review to ensure that they meet readability standards and are not above a sixth-grade reading level. All final materials will also be translated into threshold languages and available in accessible formats, as required. You can find the materials posted below. Please submit your comments, edits, or questions to info@calduals.org by October 2, 2015. As always, your participation is very important to us as we continue to implement the CCI. We look forward to receiving and reviewing your input. ***The materials linked below are DRAFT and have been posted for stakeholder review only. They should not be used to choose a health plan.